The Premier Party & Tour Boat of the Upper Chesapeake Bay! Your place for the ultimate Sunset Cruises, Daily Sightseeing Tours, Craft Beer & Wine Cruises and more. Available for private events 7 days a week in season. Our dock is located next to the Chesapeake Inn Restaurant & Tiki Bar! Step aboard our new 50 foot custom-built power Catamaran – equipped with a Sound System, Full Bar and Restroom. Our vessel holds up to 49 people, making us the perfect venue for groups. New event dates for the season coming soon! Easter weekend, Mother’s Day, Father’s Day, Independence Day celebration events plus Craft Beer and Wine Tastings! Amazing service and super genuine people, they took time out of there day to help me ask my girlfriend to prom when they weren’t even in season and they were all just as happy as I was to make it happen! Definitely taking many water tours on the summer, probably the most enjoyable people and experience in the Chesapeake city area! Absolutely recommend! There's nothing close to how awesome this is in Chesapeake City! We had such a great time on the river enjoying a sunset cruise. Reservations are going to be a must! Great cruise. The ship was very clean, crew was knowledgeable and friendly. A fabulous time at a great price! 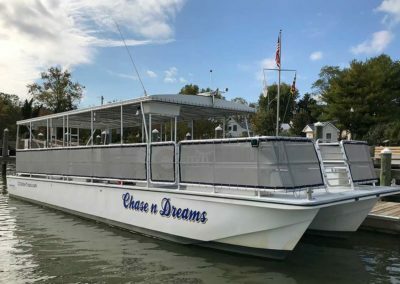 Our voyage with Chesapeake City Water Tours was a group activity that was easy to set up and really enjoyable on this comfortable boat. We were running a little late getting to the dock, but we called to give them a heads up and they were very accommodating. Captain DJ and crew offered some history and explanation of the sights along the C&D Canal. In fact, you could tell that they enjoyed cruising the canal as much as we did! Highly recommended for a group outing! DJ and his crew were amazing for our law firm's event. Couldn't have asked for better hospitality. If you are looking to get out on the water for your next corporate function, look no further. These guys are great! I went this past Friday night for the Craft Beer Tasting with State Line Liquors. Had an awesome time. Everyone was friendly, fun, and very informative, and they kept the beer flowing! We even saw a Bald Eagle. I highly recommend! Beautiful sunset cruise on the canal. Looking forward to going again soon. What great time!! So much fun!! Fantastic cruising experience - totally enjoyable! Captain and crew were knowledgeable and entertaining. Definitely worth going and I’m looking forward to Fall Foliage Cruises! It is always a pleasure to go out with Captain DJ and Captain Frank. It's a safe, clean boat with lots of room and has a Head, (Bathroom), on board. Also has a very nice Bar. We love it! Such a great time! Very friendly staff. Beautiful view on the Chesapeake. Highly recommended! The best boat cruise ever! We had so much fun on the Happy Hour trip. The boat looks brand new with a clean bathroom and a BAR! The crew were very professional and fun to be around. We will be back every year! I wish this was here when my husband and I got married in Chesapeake City it would have been awesome for our family and friends. They also have a Water Taxi to the other restaurant called Schaefer's Canal House if you stay for the night and want to try something new. Friendly crew, clean boat and beautiful scenery during the ride. Captain is very knowledgeable! This is more than worth the price! Went out for the sunset cruise tonight and was so beautiful and the captain(s) were informative but also just let you enjoy the ride! Music was on point too! Definitely give it a try! Amazing! Staff outstanding. Was engaged on this boat!!!! 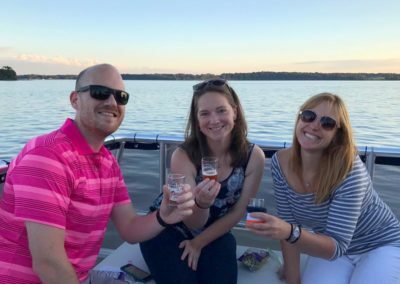 Our happy hour cruise with CC Water Tours was a FANTASTIC addition to our getaway to Chesapeake City! Very affordable and extremely enjoyable! Captain DJ and crew provided a fun, relaxing and informative evening for my husband and me; perfect addition to any day! We will be back and highly recommend! What a beautiful night on the canal! DJ and crew were excellent hosts as I took my husband on an overnight visit to Chesapeake City. I highly recommend booking a cruise with this company! It's affordable, fun and a great addition to any day! We will be back! First time on the Happy Hour Cruise. We had a great time and are making plans to go on the Sunset Cruise on the 28th with friends. Our group had a fantastic time on the water with DJ and crew! The weather was perfect, the scenery had people engaged throughout the cruise and everyone had fun. We had so much fun we booked another sunset cruise in September. Thank you, CCWT! 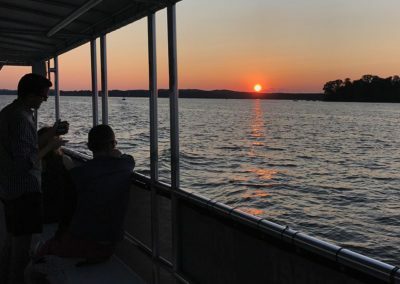 Our team really enjoyed our end-of-competition party on the Chesapeake City Water Tours last week ... it was a great time for the teens and parents ! Really had a great time. 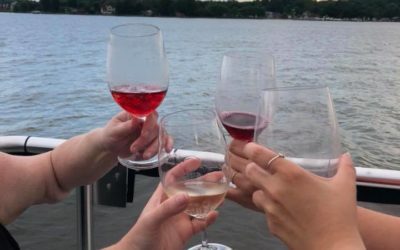 We went out for a girls’ night on the Wine Cruise...what a fun evening! The wine selection was a great variety and the staff was personable and very knowledgeable about the wines. The boat ride itself was very smooth. I think we’ll be back! I took my husband on the water tour for father's day it was a beautiful day we enjoyed ourselves. Staff was great. Can't wait to try a sunset tour. Great people, great boat, and incredible views. It’s an absolute must every summer! Great staff as well. The tour was Relaxing, pretty and just the perfect amount of time! Highly recommend it! 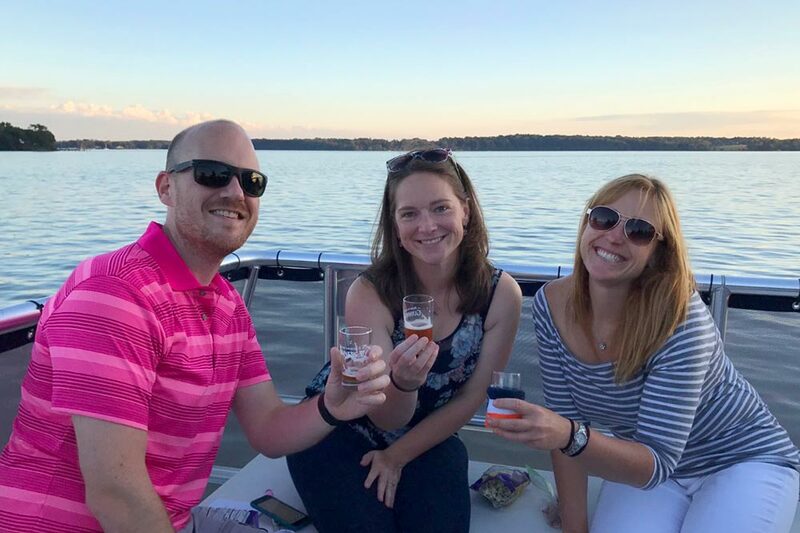 We had a great time last night on Chesapeake City's Craft Beer Cruise. The weather was perfect. State Line Liquors provided 10 beers from MD Breweries. Everyone on the boat from the guests to the crew seemed to have a great time. I highly recommend taking a water tour. Lots of fun. Great way to enjoy the water and relax. Staff is amazing and fun. Definitely worth doing every visit. Such a fun night out on the water! Highly recommend Chesapeake City Water Tours! Celebrated a milestone birthday for my mom with a cruise on the Chesapeake. Great service and great time on the boat tour! DJ and his staff did a fabulous job and a fun time was had by all! 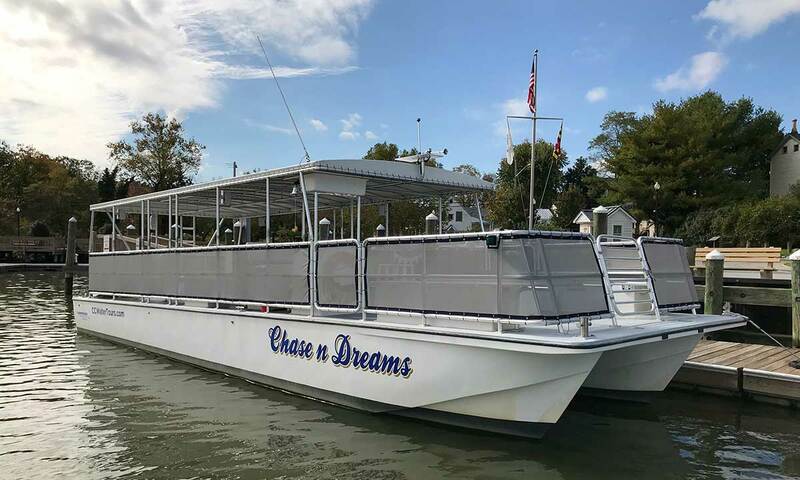 We had our Wedding on October 21st onboard the "Chase N' Dreams". It was a gorgeous day and the boat was immaculate. The staff was very friendly, accommodating and helped to make our day extra special. The food was handled perfectly and the drinks were prepared and served with a smile! Captain DJ sailed the vessel into just the right places for a fantastic view. We didn't have to worry about anything it was a stress free beautiful evening.We started the sunset cruise with cocktails and appetizers. Then we said our vows and had the main course followed by dessert. It was amazing to be surrounded by friends and family on our special day. Captain DJ and crew were amazing!Thank you for a perfect wedding day! We had a great time on our sunset cruise. Captain DJ and his crew were awesome. We would recommend Chesapeake City Water Tours to anyone! My daughter and I truly enjoyed the tour. The Crew did not hesitate to answer any question we had. They were extremely friendly and quite knowledgeable. The sunset was spectacular. 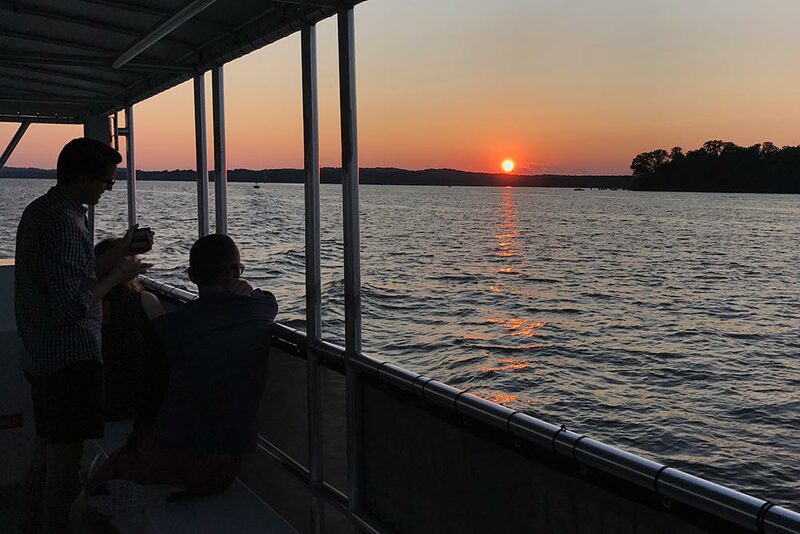 The captain spent additional time on the water to allow his passengers to take pictures of the sunset. Very attentive staff. Beautiful scenery, relaxing. Highly recommended! We took a tour with a group of homeschoolers today. We really enjoyed the ride! The crew was very friendly and informative. Had a great trip. Crew lovely and very informative. A must do trip if you are in the area. It was a beautiful and peaceful look at the bay. Loved seeing eagles and clipper shipped flying and sailing by. We had a fantastic time on the Sunset Cruise. Thank you for the wonderful experience! Amazing time out on the Solar Eclipse cruise today! Can't wait to book another ride. Highly recommended! Went on the Solar Eclipse Cruise today and it was AWESOME! Nicest people and they were so funny! I loved it! Chesapeake Water Tour rocks! It was a fun Solar Eclipse Cruise! Thanks for setting up the special event. Chesapeake City Water Tours are THE BEST! I had been wanting to check them out for quite some time, but finally had the opportunity, and boy, was I wowed. The boat is immaculate, with restroom on board, the crew is phenomenal, extremely friendly and knowledgeable. Was fortunate enough to tour on an evening with State Line Liquors, who brought an impressive spread. Cannot recommend this more highly, will definitely be back. I imagine the private/group tours are fantastic as well! Such a wonderful experience!!! I have small children and they loved it!!! I would definitely recommend it to everyone. The staff was great!!! Beer tasting cruise was awesome! Great people, great beer and perfect weather. Thank you! And thank you State Line Liquors! 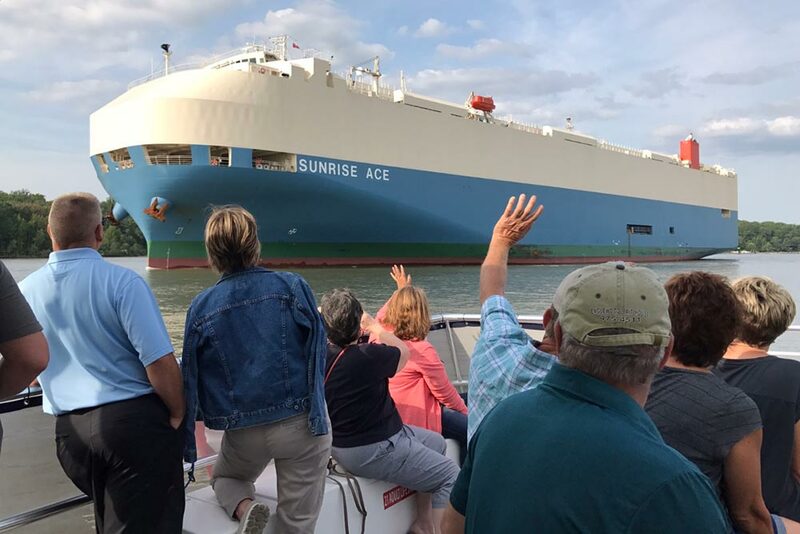 Chesapeake City now has it all -- quaint shops, great food, wonderful ice cream, a summer concert series and now a fabulous hour long cruise for your boating pleasure! Had a super day crusing Captain DJ and his crew!! Come join them and have a great time! Check this boat out! New to the area, family atmosphere, bartender and the captain are great plus you can't beat the Chesapeake sunset from a 50 foot boat! We had a beautiful day on this tour. We saw ospreys and even a blue heron. All different boats and houses. The crew was friendly and helpful. I, personally would have appreciated some stories of the history of the area. We had a delightful canal cruise! So very glad to discover this opportunity. Hope to return to take a sunset cruise soon. Thank you to all the crew for their expertise, kindness, and hospitality. Nice people! We had a great time. The boat is roomy and modern. Lovely sunset cruise! The boat is spacious, clean, and modern. The crew are terrific! Highly recommend! Very nice boat, captain and first mate very nice and personable. Strolling along the South Chesapeake City waterfront with another couple from California we encountered Captain DJ Fasick and his First Mate Nick. They were getting ready to button things up for the day, but agreed to take us for a short "joyride" in the smaller of their two vessels on a lovely evening at sunset. The views were spectacular, the crew very knowledgeable, and helpful in every way. A most enjoyable experience! Took my first ride on the ferry last Friday. DJ was extremely accommodating and hospitable. Looking forward to having a ferry between Schaefers and the Inn this summer! 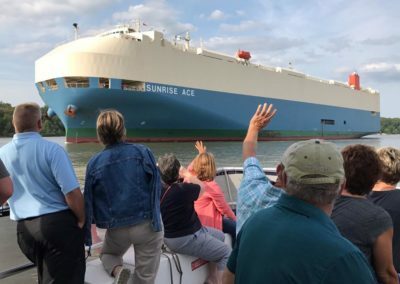 Looking forward to enjoying a Cocktail Cruise on my next visit to Chesapeake City! My friends are raving about Chase N Dreams and her awesome crew!! A big thank you to your crew for the ride! You made a memorable night even more memorable. We had such an amazing time on our water tour! The crew was amazing and made sure that everyone on board was having an amazing time! We spent the evening dancing, laughing and creating wonderful memories. We couldn't have asked for a better way to end our surprise bridal shower weekend! Thank you so much!! The tour was absolutely beautiful as we headed down the C and D Canal toward sunset. Everyone was in the spirit and before long every single passenger was up dancing. The crew was very polite and considerate. We look forward to taking another cruise! Had a great time today, definitely recommend taking a ride ! We were in the area and decided to go for a ride on the boat �. Thank you for helping us enjoy my birthday � and best of luck this season to you guys! We went on the Mother's Day tour and had SUCH a great time! The captain and his family were so welcoming and polite! We will be back again, next time with our families! Meet us at the dock! The Chesapeake City Ferry operates from April through October. The ferry service provides a vital link between Chesapeake City’s North and South sides. The service for bicyclists and pedestrians will run Thursday through Sunday. Boardings cost $3 per person each way, $5 round-trip, including bicycles. 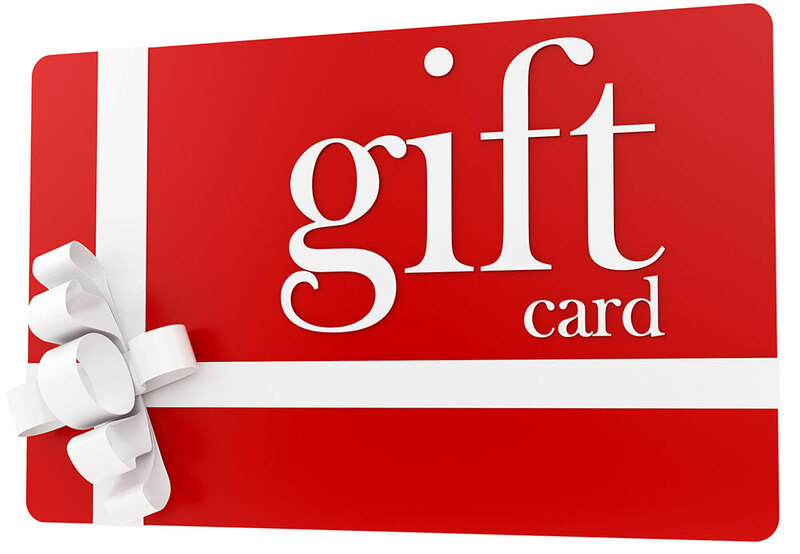 Buy a gift card for a holiday or special occasion.